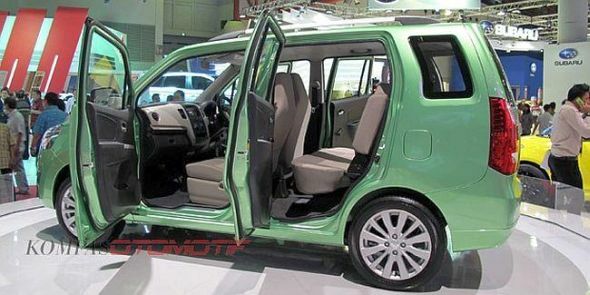 Suzuki Indonesia showcased the WagonR 3 Rows 7 seater concept at last year’s Indonesia International Motor Show. The car was showcased at the motor show to gauge customer feedback. 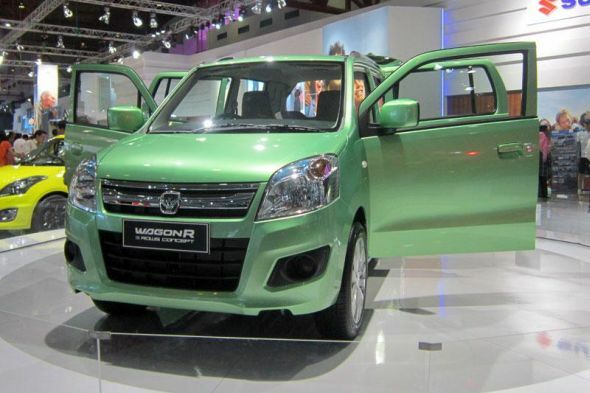 Now, the Indonesian subsidiary of the Japanese automaker wants to put the WagonR 3 Rows into production. In Indonesia, the WagonR 3 Rows will take on the Datsun Go+ MPV, a 7 seat iteration of the Go hatchback. 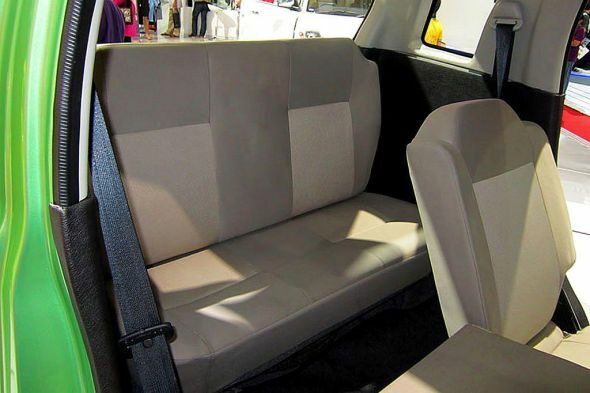 The WagonR 3 Rows is essentially a stretched hatchback that squeezes in an additional front facing row of seats. These seats are situated in the extended section of the car’s rear. Mechanically, the WagonR 3 Rows remains unchanged and retains the 1 liter-3 cylinder K-Series petrol engine and a 5 speed manual gearbox. The car is intended to be a low cost, sub-4 meter offering as development costs of extending the rear section of the WagonR is minimal at best. The Datsun Go+ MPV is also a sub-4 meter product that will be launched in India next year, after its Indonesian debut slated for later this year. The Go+ MPV will be priced between 4-5 lakh rupees, and will one of the least priced MPVs sold in India. Keeping Datsun’s plans in mind, the 7 seat WagonR seems like a viable addition to Maruti Suzuki’s product portfolio in India. The WagonR is one of India’s top selling hatchbacks, with average monthly sales of over 12,000 units. The tall boy hatchback is known for its practicality, reliability and fuel efficiency. The car is sold with petrol, LPG and CNG engine options. The 3 Rows variant with 7 seats could prove to be a big draw if Maruti Suzuki can price the 7 seater model at under 5 lakh rupees. On the other hand, the WagonR 3 Rows will face competition from Maruti Suzuki’s own product line up considering the fact that the Eeco is a rear wheel driven van that also offers a 7 seat layout. The Eeco is more powerful than the WagonR but is comparably priced. This is perhaps the biggest factor that goes against Maruti Suzuki WagonR 3 Rows’ potential in India. We’ll have to wait and watch as to which way Maruti Suzuki swings.